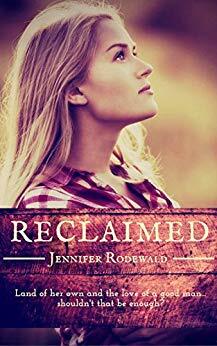 I finished Reclaimed by Jennifer Rodewald yesterday and since then, I have been trying to figure out how to write this review. If I had to pick a word or two, I’d say heartbreakingly beautiful! But y’all know I can’t just leave it at that! First, for the easy stuff! Paul - what a wonderful character! He is kind, loving, giving, and loves God with all his heart. He always tries to do the right thing even at his own expense. Lest you think he might be too perfect, he is not. He had a bit of a rough past, but he has learned from his mistakes. Suzanna was a harder character to warm up to. And if you have been reading my reviews, you guys know I am super picky about heroines. I do not like “prickly” heroines and that is exactly how I would describe Suzanna. But, somehow, Jennifer writes her in a way that you feel for her and you empathize with her. Her growth throughout the story was well done and believable. The faith message was wonderful! The story shows God’s love, mercy, and forgiveness. I love how Jennifer really focuses on having a personal relationship with God though. It’s more than reading the Bible, knowing the stories, and going to church, it’s making Him number one in our lives and really knowing Him. 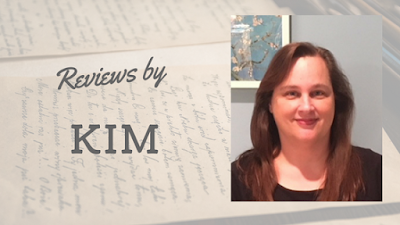 Jennifer’s writing is always deep and she doesn’t shy away from the hard stuff. Wonderful! Land of her own and the love of a good man, and yet she can't let go of the past. God takes broken things and makes them beautiful again. He reclaims our desolate places. When romance isn't enough, will Suzanna ever find peace? Thanks so much, Kim. You made me think about prickly heroines, and I might just prefer them. There's always a reason they're prickly, and finding that out really draws me. Contemporary romance is not my top choice for a read but you've really made me think I'd love this story.